Saturday the 21st of September shall be stamped on Nairobians if not all Kenyans minds as the day one of our prestigious malls (Westgate) and it’s occupants/users were held hostage, injured and others killed in cold blood. 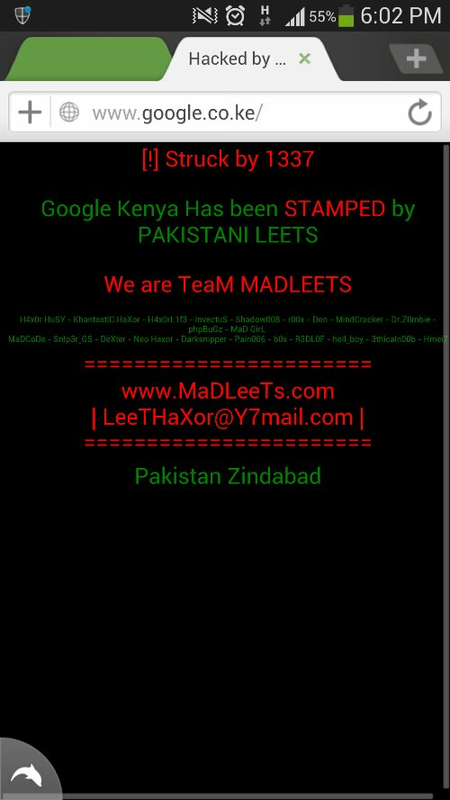 To add salt to injury, www.google.co.ke was also hacked by the group – Pakistani Leets. The events of the day raises the questions, is this group behind the mall attacks? Who are they affiliated with? What is our government doing to curb ‘analogue’ as well as digital terrorism? We here at Techweez empathise with those with loved ones affected by these acts of terrorism.